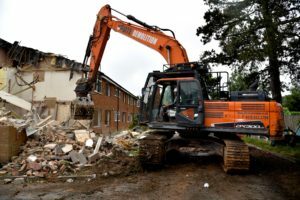 A former sheltered housing block in Coalville has been demolished to make way for new family homes, as part of North West Leicestershire District Council’s (NWLDC) affordable home building programme. 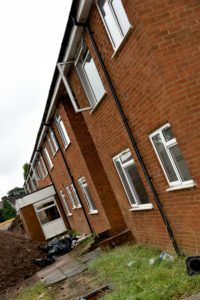 Construction company, Robert Woodhead Ltd, began work on the Council’s first council house building programme in a generation earlier this year. To guarantee the development was delivered efficiently, offered social value and was sourced at the best cost, Woodhead was taken on through procurement consortium, EEM Ltd, of which NWLDC is a member. 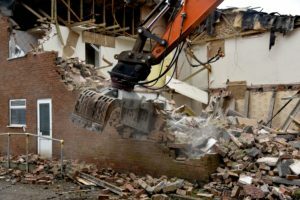 The site in Coalville is one of three developments in the programme, which will see 24 new houses and bungalows built on council-owned land. 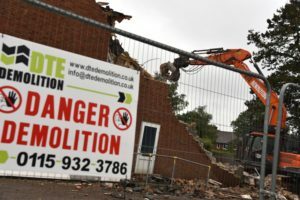 The site on Verdon Crescent in Coalville will include ten houses and one bungalow, providing much-needed homes for local families. 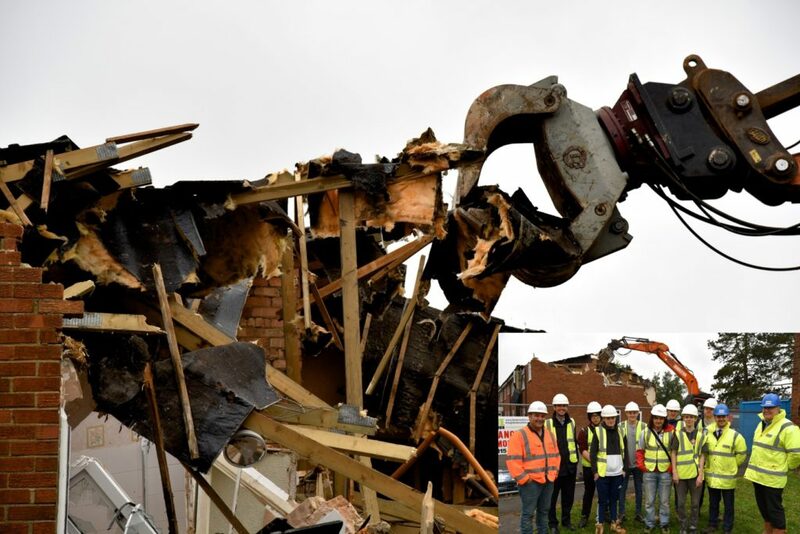 Woodhead has worked with demolition specialist, Down to Earth Demolition, which has taken charge of the six week programme to safely demolish the building and clear the site, ready for construction to begin. As part of Woodhead and EEM Ltd’s commitment to delivering social value on all its sites, the team has been working with a number of full time construction course students from Stephenson College to help give them hands on experience of a building site, as well as the benefit of the site team’s experience, as they continue to work through their training. 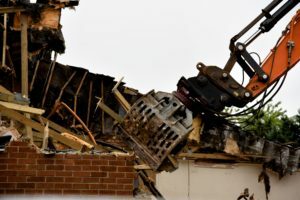 The group visited during the demolition to find out more about that side of the construction industry. 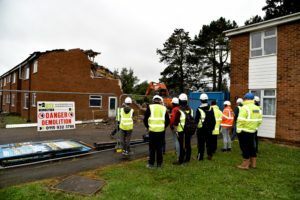 Andrew Cassels, Project Manager for Robert Woodhead Ltd said, “We’re really pleased with the progress on the site so far, and have been delighted to share the varying stages with young people from Stephenson college. We pride ourselves on building excellent quality homes and ensuring we have an impact on the local community while doing so. We always try to provide opportunities to young people living close to a site, whether that be through an apprenticeship scheme, or providing work placements.”Pete Smith, Chief Executive of EEM Ltd, said: “We want our members, such as North West Leicestershire District Council, to have access to fantastic frameworks, getting the best cost and social value for the programmes they are working on.